Thanks for reading today and for your dairy-product footballers. Saints boss Maurcio Pellegrino with the team news: Everybody is OK. Today Cedric Soares is training - we will decide later. On conceding late goals: Against Man City it's a good team. Against Olivier Giroud who scored for Arsenal - it's almost two metres jumping. On the opponents: "Leicester are a good side but we have to play our way of football." On striker Charlie Austin's good form: "I'm pleased with him. He's always fighting when he was waiting for his opportunity. On Fraser Forster's recent return to form: Fraser has been working a lot on and off the pitch. At the top level, you always have to be at the top level." African Football of the Year announcement today!!! The announcement of BBC's 2017 Afoty will be made at about 17:50 GMT. It will be revealed in a live show on BBC World News from 17:30-17:56 GMT. This website will also have live text building up to it. Pierre-Emerick Aubameyang, Naby Keita, Sadio Mane, Victor Moses and Mohamed Salah. Video caption: All eyes on Real Madrid vs PSG!All eyes on Real Madrid vs PSG! Phil: Tea with the bag in? You animal!! Stoke are dropping a bit aren't they. Saturday's 5-1 defeat against Spurs means they are now 15th - only two points above the drop-zone. They play solid-ish Burnley on Tuesday. Here's Mark Hughes: "We are all of the view that we want to do something about the performance on Saturday and hope to do that on Tuesday." "For the most part there has been pressure around us all season. We will deal with it. If we win the next two games we could be in the top half. Pressure disappears by winning games. "Burnley don't concede many and take the opportunities they create. They have a certain way of playing and have been able to name a pretty settled side all season. "We didn't pick up any injuries from the weekend so everyone is available for tomorrow. Glen Johnson has taken a bang on his knee. Jese is still back at home." More from Roy: "We've been bottom for 15 out of 16 games. We started the season with 0 points, 0 goals and 19 against. The fact we're still bottom isn't a major surprise, but we will get on with the job and do what we need to do." Come on Roy, let's have some decent quotes. Hodgson: Every team you play are in a run of form of some description. I've seen a very good team in Watford this year, so we're preparing for them at their best. On striker Christian Benteke missing a last-minute pen against Bournemouth. And the fact that Luka Milivojevic was supposed to take it: I didn't say much to Christian after the game as it was a very raw moment for him, he was very disappointed. We've spoken since and he's spoken to the players. "Christian was very confident, he had played well and he believed he was going to score that penalty. He persuaded Luka to let him take it. He wanted it and felt good, but unfortunately it didn't work out. No guarantee Luka would've scored it either, of course." Swansea who lifted themselves off the foot of the table with a win over West Brom, who are currently not the best to be fair, are a happy lot. Here's gaffer Paul Clement chatting before Wednesday's game against.... Manchester City. Clem: "We are the underdogs, no question, but plenty of teams in the past have been in that role and got a result. We will make it as hard as we can. "We are the underdogs, no question, but plenty of teams in the past have been in that role and got a result. We will make it as hard as we can." On striker Wilfried Bony: "Step by step he is getting fitter and sharper and the goals are starting to come. It was a fantastic finish at Stoke - a top-class goal - and what a big moment on Saturday. The pressure on us, it was absolutely clinical." Here's Terriers boss David Wagner: "No news injury wise. Michael Hefele was back in training with the group yesterday, which was a big boost for us. Rajiv van la Parra will be back in the squad. Before his suspension he made some big steps offensively and defensively. He has something to prove." "Chelsea is the biggest team in England because they won the title last season; they’re a top team, we are happy to host them and we are very excited to face them." I think Van La Parra is on my fantasy bench. That's fantasy football. Chelsea the biggest team in England? Cameras off, which means Conte now does another mini-presser with 'the dailies' which is all secretive and that. "I'm not happy because we lost. I look at the next game because it's against Huddersfield. I'm not happy because we lost to West Ham." Playing Barcelona at home first? "We must be ready to play at home. Impossible to see an advantage of playing at home first. Against Barca you have to be at 120%. Our priority is the league and to stay up and fight for the Champions League place - at this moment. When it is the moment to play Barcelona then we will start thinking about it." Reacting to having said Chelsea won't win the title: "In 16 games when you lose four, in my experience you won't be able to fight for the title. My English is not so good, but when I speak I'd like to say what I've said. In the league we have to go game by game and do our best. We have to fight for the Champions League." On whether the players have recovered from playing at the weekend: "We work only today with the players who played against West Ham. When we play after two days you must be ready and to prepare quickly for the game. "A lot of players are playing a lot of games - that means someone is a bit tired. I have to find the best solution and not to lose the balance." Just remembered the Antonio Conte conference is on now. Focus Chowdhury. I've just been handed a cup of tea by my colleague Joel Goldman. I like my tea with the bag in and a dash of milk. However, Joel, who made a round of teas, forgot which one had the bag in. How we all laughed over the confusion! After being drawn against FC Basel, Manchester City are England's best chance of having a team in the Champions League quarter-finals according to the Euro Club Index (http://www.euroclubindex.com). The Premier League leaders have 86% chance of knocking Basel out. Liverpool (64% chance of progress) and Manchester United (59%) are also the favourites in their second round ties after being drawn against FC Porto and Sevilla respectively. Chelsea had a high chance of a tough draw as it was only possible for them to play against Barcelona, Paris Saint-Germain or Besiktas. Barcelona are the Euro Club Index's number one team and the Blues are given just 23% chance of getting to the last eight. Tottenham Hotspur have a bit more hope against Juventus but are still the underdogs to reach the last eight from this tie, with about half the chance of doing so (34%) as their Italian opponents. 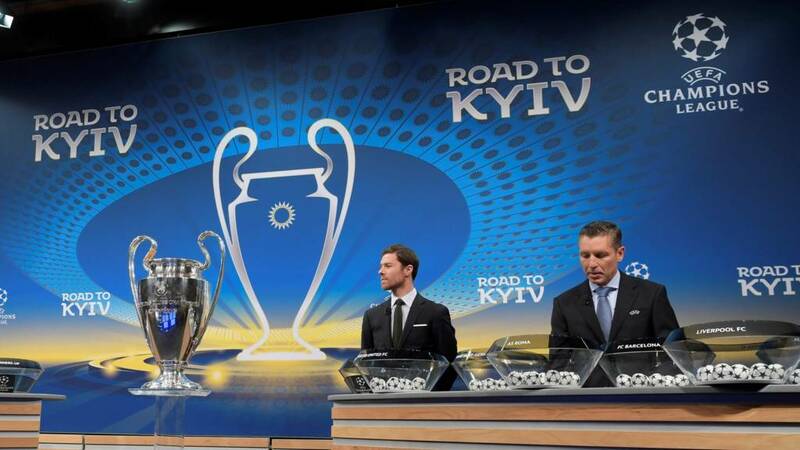 Manchester City are one of the biggest favourites to progress from the eight ties in the Champions League second round but with four of Europe's current best five teams being kept apart in the draw, City's chance of winning the Champions League has only increased to about 12%. This makes City fourth favourites behind FC Barcelona, Real Madrid and Bayern Munich. Barcelona remain favourites and are given around 26% chance of winning the competition. Remember City had an 8% chance pre-draw. Hi five!